Today is the one-year anniversary of the Trump Administration’s president’s management agenda. 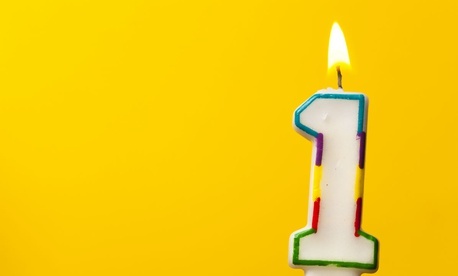 While this milestone may not be celebrated with cake and balloons, it is nonetheless important to recognize the progress that has been made over the past 12 months. The eagerly-awaited Trump PMA was met with both surprise and admiration by good-government mavens. Many gave credit for sustaining protocols that had been established in previous administrations, suggesting that this would enable good management practices to continue and improve without major disruption. Others praised the PMA’s tight focus on people, data and IT modernization. The assignment of specific names and organizations to each cross-agency performance goal and quarterly online progress updates were welcome efforts at transparency and accountability. Most welcome, however, was the emphasis on the end goal – improved government service to citizens. Since the PMA’s release, prominent federal leaders have spoken frequently about efforts to turn the agenda into reality. It is certainly important to understand how current leaders are approaching the implementation of the PMA. But it is equally important to understand from those who have seen PMAs come and go what lessons might be applied to avoid pitfalls, shorten implementation cycles, and increase institutionalization of goals and processes. In short, to understand what might increase the likelihood of the PMA’s long-term success. Working with government agencies at every level across the country, the National Academy of Public Administration and its distinguished fellows have developed valuable insights and expertise in effective, innovative and transformational management strategies. The academy today released a collection of essays on the PMA by some of our fellows, featuring their perspectives on how this president’s management agenda compares to its predecessors and what the Trump administration might do in the coming years to ensure its sustained progress. In the book, academy fellows examine each of the PMA’s focus areas, looking in detail at workforce modernization strategies; opportunities to improve acquisition and management of the contractor workforce; innovation in local governments that might be incorporated at the federal level; improvements in customer experience through transformed delivery of government services; and new ways to incorporate technology to improve how government does its business. The essayists also examine the critical role program evaluation and data can play in improving program management, employee engagement and organizational health. Not surprisingly, change has occurred since these essays were written and the Trump administration is making progress along the lines recommended by some of the authors. For example, we’ve seen new legislation enacted, including the 2018 Foundations for Evidence-Based Policymaking Act, that advances the data agenda. We also have seen a presidential executive order that adds impetus to the application of artificial intelligence to government functions. We are pleased that the President’s proposed budget for 2020 includes a number of proposals that address specific aspects of the PMA, including increasing the Technology Modernization Fund to $150 million, establishing a U.S. Federal Data Service, and directing agencies to establish multi-year learning agendas to strategically plan their evidence-building activities. But like many other evaluations of government programs, we find that while progress has been made, much remains to be done. Many of the PMA goals focus on processes internal to the federal government. However, the government is seldom the only agent in the delivery chain. The academy’s recommendations address our concern that agencies must involve all the participants in that value chain, including state and local governments, contractors, non-profit organizations and customers, in developing process improvements and measuring success. For example, we suggest that federal agencies explicitly engage industry experts to increase access to the latest innovations in processes and technology. We recommend a dramatically increased focus on customer experience as a measure of success and trust. And we suggest establishing and elevating performance measures for every aspect of contract and grant management to help ensure that the government gets the very best value for its spending. Our intent is not to critique, but to advise, and to identify opportunities for improvement in both approach and program that can lead to better outcomes from the worthy initiatives included in the Trump PMA. If we are successful, we will have advanced the academy’s vision of “a government that works, and works for all.” The practices, prophecies and proposed improvements contained in these essays seek to contribute to the management agenda. President Trump has the opportunity to set policy that improves government operations and execution. This special volume from the academy outlines how it can be done. Ms. Gerton is the President and CEO of the National Academy of Public Administration. Mr. Balutis, an Academy Fellow, is a Distinguished Fellow and Senior Director, North American Public Sector for Cisco Systems’ Business Solutions Group. He organized and edited the collection of PMA essays.